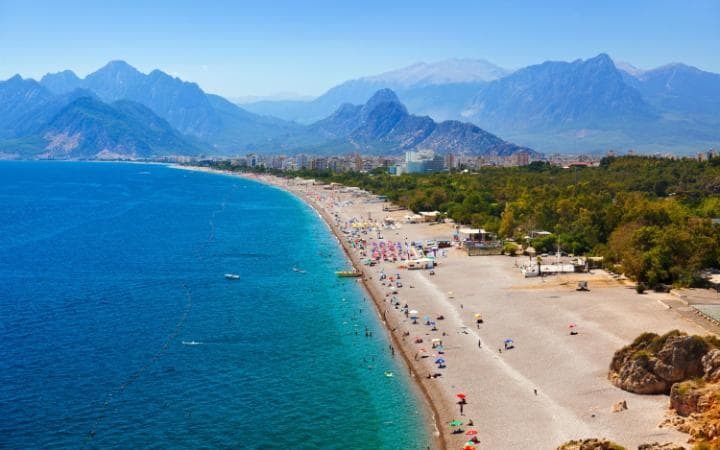 The stretch of Turquoise Coast running south and west of the gateway city of Antalya (pictured) is one of the most refreshingly undeveloped in the Mediterranean. Here, the topography ensures that even the bigger resorts such as Fethiye and Kaş are little more than overgrown villages. Yet resorts they are, liberally sprinkled with bars, cafés, restaurants, shops, travel agencies and all the other trappings of their ilk, so if you want genuine tranquillity, head to one of the smaller, less-developed hideaways on this beautiful and rocky coast. 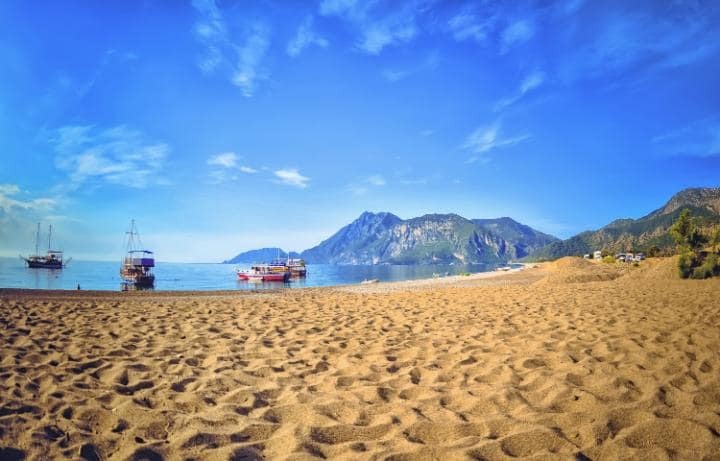 Farthest east and closest to big-city Antalya is Çıralı, a modest if strung-out hamlet among the swathes of citrus groves engulfing a fertile plain between spectacular mountains and a two-mile shingle beach. There are family-orientated pensions and a strip of simple beach-front restaurants, all offering their customers’ free sun-beds and umbrellas. The swimming is superb (watch out for incoming turtles in the nesting season), with great views back to the towering peak of 7,759ft Mt Olympos (also known as Tahtalı), and wave after wave of smaller, wooded peaks. The natural flames of the Chimaera erupt from vents in the pine-forested hillside behind the beach, and it’s just a short stroll south along the shore to the ruins of ancient Olympos. Adrasan, two valleys south of Çıralı, is a strip of pensions and modest hotels on a gracefully curving beach book-ended by pine-clad spurs running down from the rocky heights above. There is little to do except swim in the clear, warm waters of the bay, take a boat ride around to Genoese Harbour, or sunbathe. It’s an ideal place for young families, especially as there is a duck-filled stream running into the bay from the north and virtually no traffic – the resort is a dead-end. 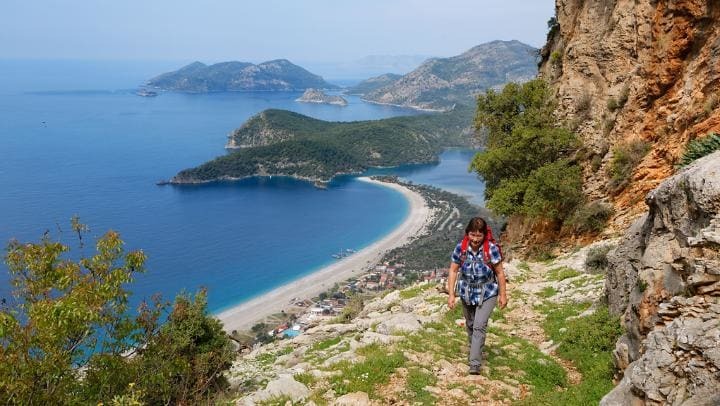 If you want to be more active it is perfectly situated on Turkey’s waymarked long-distance walking trail, the Lycian Way, with day walks through the pine forest south-west to the lighthouse on Cape Gelidonya, or north-east over Mt Moses to the atmospheric ruins and beach of Olympos. Or, if snorkelling isn’t enough, there’s a reputable, German-run dive school right on the beach. Heading west around the coast towards Kaş is the tiny, atmospheric village of Kale Köyü, sitting beneath Simena Crusader castle and looking out over turquoise waters to rocky, uninhabited Kekova Island. Peeping out from a riot of carob, palm, walnut, fig and banana trees, the village is a mere smattering of old Greek houses, three of which are simple pensions. Semi-submerged offshore is a Lycian tomb, its stone sarcophagus raised on a rocky plinth, and many more stand in a necropolis on a shoulder of the promontory on which the village is set, just below the well-restored castle. 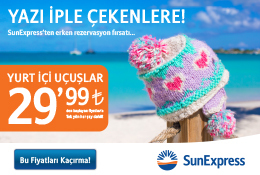 To get to Kale Köyü you have to either walk or take a boat (your pension will arrange this). Longer boat trips, out over a sunken Lycian city and along the shore to other remote and fascinating ancient sites, stop visitors sinking into total somnolence in this most relaxed of resorts. Yet farther west, beyond the attractive resorts of Kaş and Kalkan, is Gelemiş, a working Turkish village squeezed into a gap in the hills just north of the superbly-preserved, dune-encroached Roman ruins of Patara and its eponymous, gently shelving beach. Gelemiş, is not pretty in the way that Kale Köyü or nearby Kalkan are, but it has easy access to Turkey’s longest and arguably best beach, good value pensions and a few cheap and cheerful restaurants. As well as exploring the gorgeous sandy beach, nine miles long and frequented in the breeding season by loggerhead turtles, it’s possible to walk into Kalkan on the Lycian Way (or drive or take a minibus). You can explore the marshy areas behind the dunes in search of egrets and pied kingfishers, or drive out to explore ancient Lycian sites in the mountains.